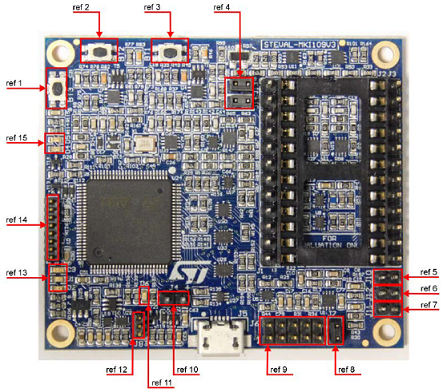 ST公司的stm32F401VE是基于ARM® Cortex® -M4 32位RISC核的高性能mcu,工作频率高达84MHz.它的Cortex®-M4核具有单精度浮点单元(FPU),支持所有的ARM单精度数据处理指令和数据类型,也能执行全部DSP指令和存储器保护单元(MPU),从而增强了应按用安全性.器件集成了高速嵌入存储器(512KB闪存,96KB SRAM)和多种增强I/O和外设,以连接两个APB总线,两个AHB总线和32位多AHB总线矩阵.所有器件提供一个12位ADC,低功耗RTC,六个通用16位计时器,包括一个用于马达控制的PWM计时器和两个通用32位计时器以及多种标准和高档通信接口.主要用在马达驱动和应用控制,医疗设备,PLC,逆变器和断路器,打印机和扫描仪,家庭音频设备,手机传感器集线器以及告警系统,视频互连和HVAC等.本文介绍了STM32F401VE主要特性,框图,MEMS评估母板STEVAL-MKI109V3主要特性,框图,主要元件表,电路图和PCB丝印图. • USB 2.0 OTG full speed interface Refer to for the peripherals available for each part number. 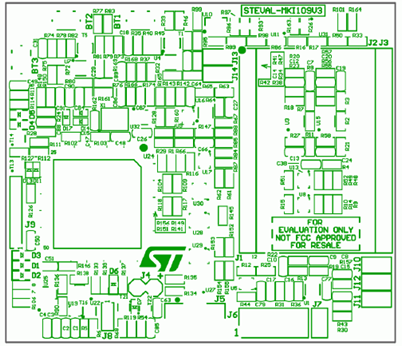 STEVAL-MKI109V3 Professional MEMS Tool motherboard for MEMS adapter boards The STEVAL-MKI109V3 motherboard provides users with a complete, ready-to-use platform for the evaluation ofSTMicroelectronics MEMS products. 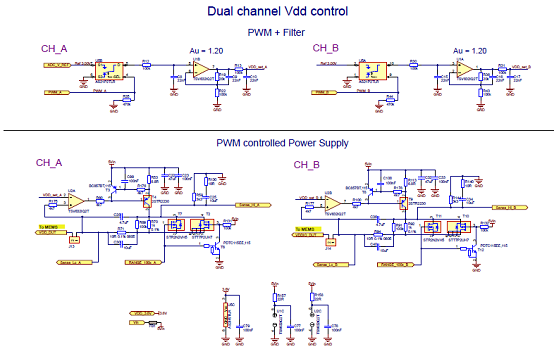 It includes a high-performance 32-bit microcontroller which functions as a bridge between the sensors and a PC, on which youcan download and run the graphical user interface (GUI) or dedicated software routines for customized applications. The Professional MEMS Tool demonstration kit is based on the STM32F401VE microcontroller and can beconnected to a PC via USB. Data from MEMS sensors connected to the board can be read through the PC GUIprovided with the kit. The Professional MEMS Tool also implements the DFU (device firmware upgrade) feature, so it can bereprogrammed with a new firmware release without the need to use a programmer. All the MEMS adapter pins are available on board connectors J1 and J3. 1. 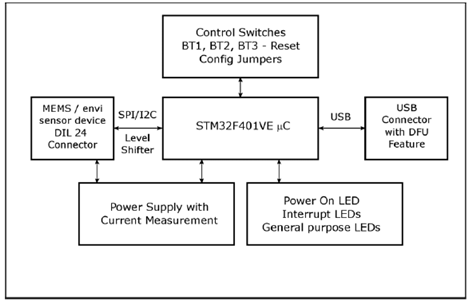 Button BT3 is used to reset the STM32. 3. 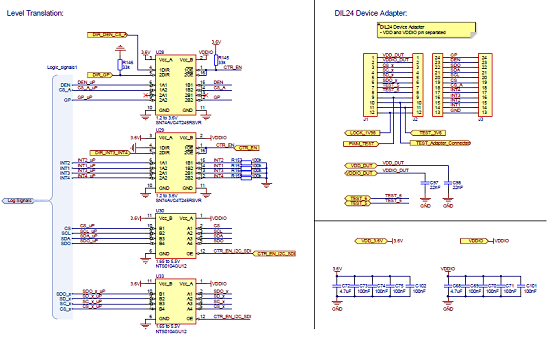 BT1 connected to STM32 GPIOs and available to the user. 4. 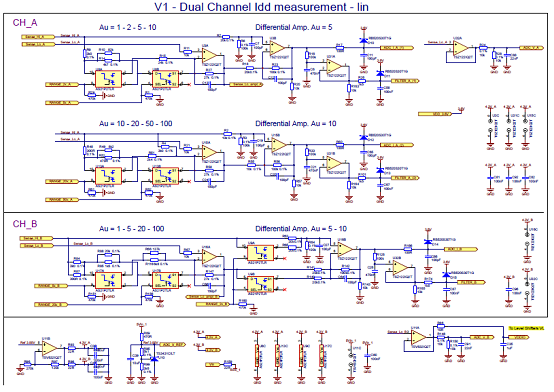 Jumpers J13 (VDD) and J14 (VDDIO) allow the user to measure the sensor current consumption byconnecting a multimeter in series with their terminals. 5. 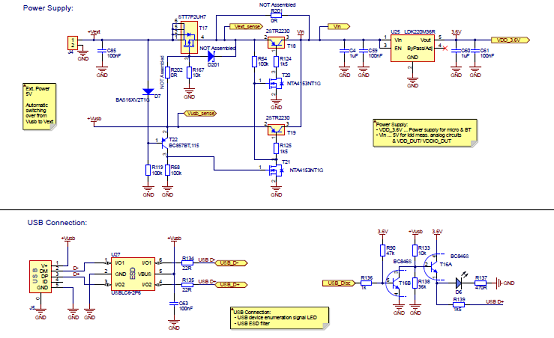 Jumper J10 is used as a general purpose input to manually set certain features for several MEMS adapters. 6. 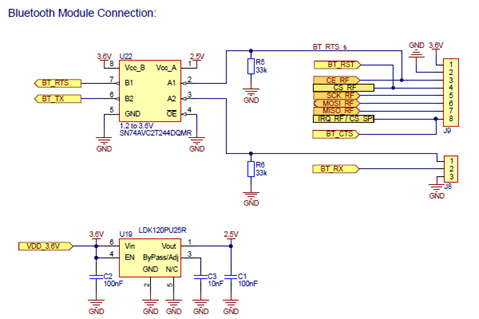 Jumper J12 is used as a general purpose input to manually set certain features for several MEMS adapters. 7. 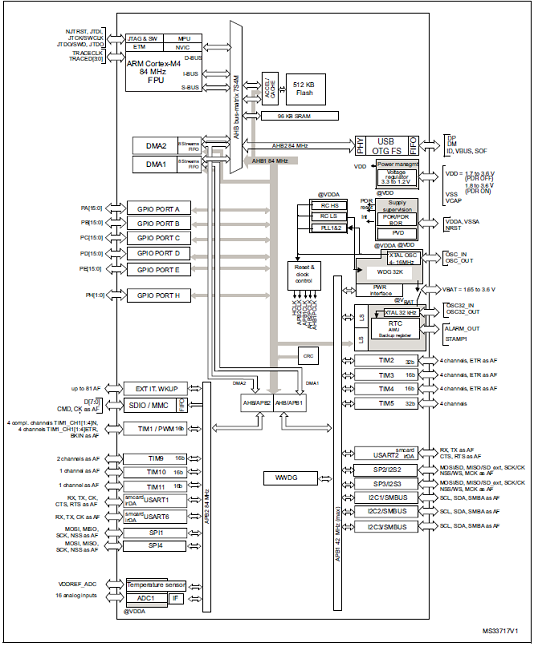 Jumper J11 is used to set the self-test feature during testing of Professional MEMS Tool PCB. 8. 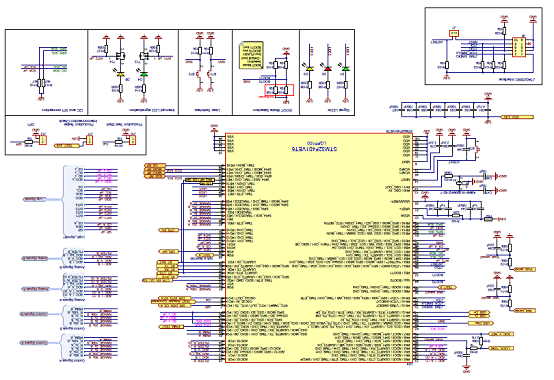 Jumper J7 is used to select either JTAG (JP7 open �C NRST control not allowed from programmingconnector J6) or SWD mode (JP7 shorted �C NRST control allowed from connector J6). 9. 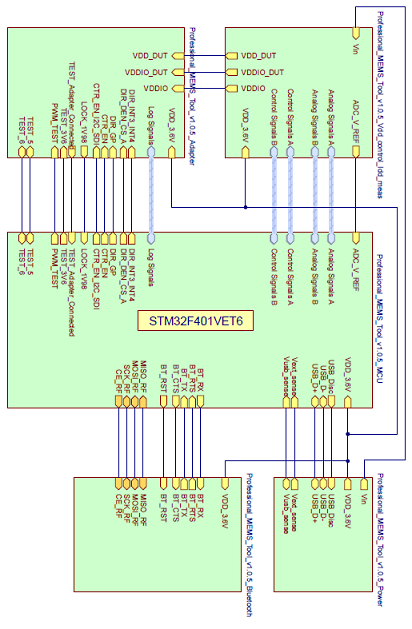 J6 connector can be used to reprogram the STM32 and debug the code through the JTAG or SWDprotocols. 10. Jumper J4 can be used to directly supply the board (from 4.5 V to 5.5 V) instead of through the USBconnector. 11. LED D6 lights up when the board is powered. 12. J8 connector can be used for UART RX/TX communication. 14. J9 connector can be used for general purpose SPI bus. 15. LEDs D4 and D5 are directly connected to the interrupt pins of the MEMS digital adapters (if available on thesensor mounted on the adapter board).